Features: Brand New & High quality. Material : Plastic. 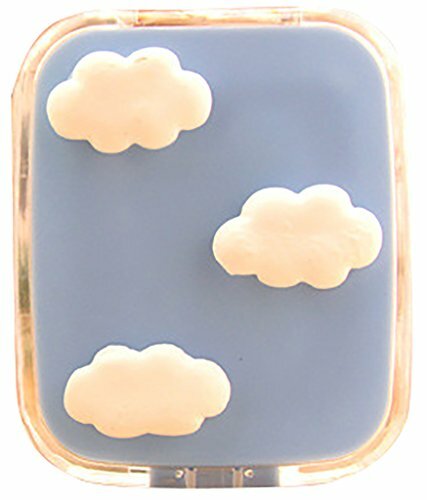 Case size : 6cm x 6cm x 2cm/2.36" x 2.36" x 0.79" (Approx.) Accessories:solution bottle + tweezers + stick connection + lens holder + mirror. Green and environment,nontoxic. Suitable for using during travelling or outdoor activity. 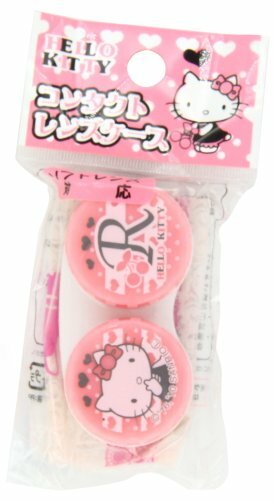 Small and easy to carry, keeping your contact lens clean and clear. 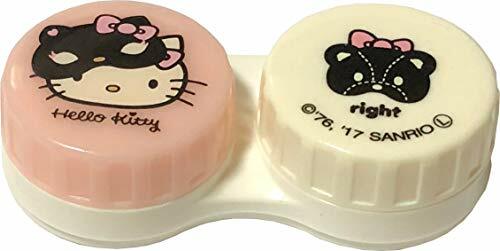 Attention: *Please wash the plastic contact lens case for a few times before first use. 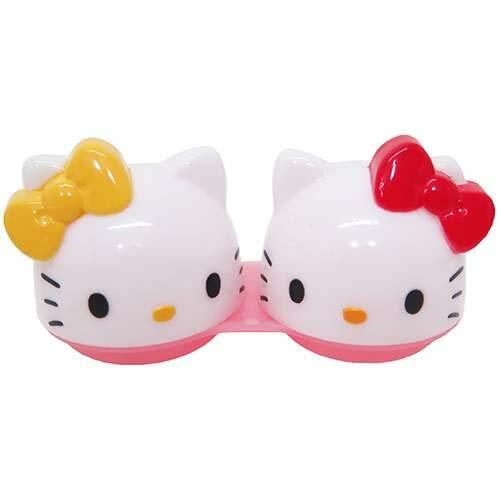 *When you use the Contact Lens Storage Cases should pay attention to the left and right. *The lens care solution can not use detergent, soap...And need use regular contact lenses Solution to clean your Contact Lenses, Case, tweezers and stick connection. Due to the light and screen setting difference, the item's color may be slightly different from the pictures. Please allow slight dimension difference due to different manual measurement. 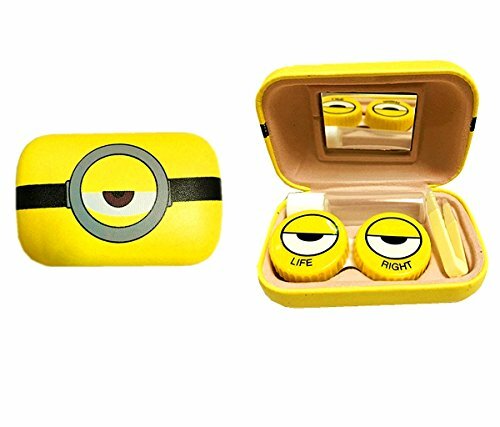 Suggest: Lens cases can easily grow bacteria and fungi which are bad for the health of your eyes. Even if you follow cleaning instructions, dangerous bacteria may still find a way to grow. 100% MONEY BACK GUARANTEE: Get your bands right now with confident! You are always backed by our warranty! IT PRINTS 'LIFE AND RIGHT' RATHER THAN 'LEFT AND RIGHT' ON PURPOSE! 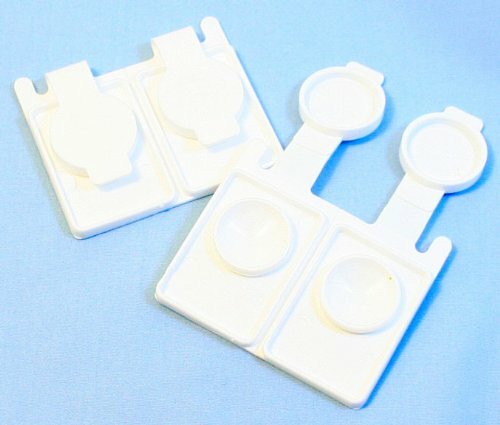 Zink ColorCosmeticsDisposable Contact Lens Case White, 5 pc lot , made of polypropylene1 3/4" x 2" Compact and convenient design make this case a must have for all contact lens wearer. Easy snap on closure, durable materials made it last more then one usage. 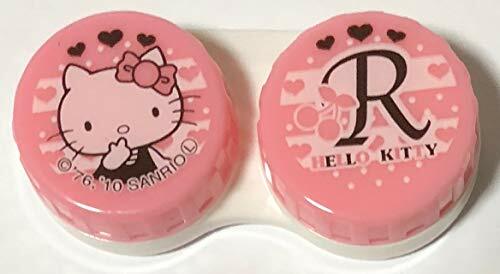 This contact lens case is genuine Sanrio. 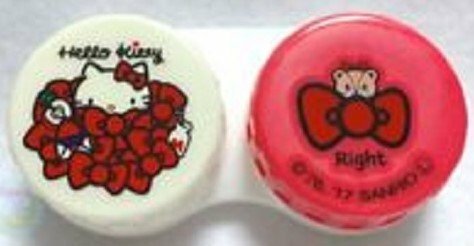 It measures 2.5" by 1", which is the standard size of most contact lens cases. The left side features Hello Kitty peaking out from a bundle of red bows and the left side features her favorite teddy bear hiding behind a big red bow.